It’s been a big year for dinosaurs – quite literally when the new “biggest dinosaur ever” Dreadnoughtus was uncovered in South America. We run through some of the top dino discoveries that have been challenging what we know about the scaly (and increasingly feathery) prehistoric beasts. 13. And we finally know what Deinocheirus looked like! The Hunter: Primal, the recently announced dinosaur-hunting game from Just Cause developer Avalanche Studios subsidiary Expansive Worlds, launched Monday on Steam Early Access. You can get the game, which is billed as a "frighteningly realistic dinosaur hunting experience," today for $20. As with other Early Access titles, Primal is not a finished product, though Expansive Worlds maintains it's at a point where it can be enjoyed. "We strongly believe that games should be developed together with the community," the developer said. "With all the core gameplay mechanics implemented, the game is now at a state where players can start to enjoy it, and we want the community to work with us to decide in what direction it should evolve." Primal is associated with Expansive Worlds' free-to-playThe Hunter series by name only, as it is a standalone experience. Unlike The Hunter, Primal is available via a one-time purchase. The game features a Jurassic landscape of 9.3 square miles, Expansive World says, including jungles, camps, and other locations you'd expect to see in a Jurassic Park movie. At launch today, Primal includes three dinosaurs: the Utahraptor, the Triceratops, and the Tyrannosauras Rex. Throughout the course of the game's Early Access period--and beyond--Expansive Worlds will introduce more dinos, as well as new weapons, features, and tweaks. A massive genetics project has produced the most comprehensive bird family tree ever, an embarrassment of scientific riches for studying everything from how birds evolved so quickly after dinosaurs disappeared to the ways in which birds and people learn. The biggest takeaway from the eight studies published Thursday in the journal Science is the way genetic codes can be used to answer wide-ranging questions. Scientists are using birds' DNA, for instance, both for research on the brain and learning and to reconstruct what an ancient ancestor of birds and dinosaurs might have looked like. Researchers mapped the complete set of DNA instructions, or genomes, of 45 bird species representing every group of living birds, as well as representatives of all three groups of crocodilians—the closest living bird relatives. To produce the new family tree, scientists combined this information with previously published sequences for zebra finches and domestic turkeys and chickens. Most of our notions of how DNA evolves over time come from studying the genetic instruction books of mammals, says Ed Green, a genome scientist at the University of California, Santa Cruz. Adding the genomes of birds and crocodilians—the American alligator, saltwater crocodile, and Indian gharial—now allows scientists to better understand how these groups are related, he says. A detailed X-ray video of a modern bird foot is revealing the secrets of dinosaur tracks set down more than 250 million years ago. The ancient tracks, made by the chicken-size dinosaur Corvipes lacertoideus, contain strange features that are likely the marks made when the dino withdrew its foot from the sediment — a process that is impossible to document without X-rays that reveal what's below the sediments. Falkingham and his colleagues used X-rays to videotape a bird called a guineafowl (a relative of chickens and pheasants) as it walked through a soft bed of poppy seeds. The researchers could see the foot plunging into the seeds, just as a dinosaur foot might have sunk into soft sand or dirt. Dinosaur prints are the only direct record of dinosaur movement, Falkingham told Live Science. But they are very tricky to interpret. A fossil print might come from the original land surface where the dinosaur stepped, or it might be an impression left over from several rock layers down, after the surface layer eroded away. Prints are static impressions, Falkingham said, but a moving dinosaur foot is dynamic. Unlike celebrities carefully pressing their handprints into the cement on the Hollywood Walk of Fame, a walking dino didn't create an anatomically correct impression in the ancient soil. The dinos sank down, swept their toes through the dirt and flexed their foot muscles as they moved. Without an understanding of this process, scientists can only glean so much from dinosaur tracks. Falkingham and his colleagues wanted to peer below the surface, second by second, as a track was being made. They chose guineafowl as their subjects because the birds are close in size to the dinosaur print fossils that the researchers wanted to use as comparisons. And, as birds, guineafowl are descendents of the avian dinosaurs. "They are small dinosaurs without a tail, and that makes them a fantastic correlate for looking at the footprints produced by dinosaurs and produced by birds," Falkingham said. In an X-ray machine, the birds trotted over solid surfaces and through dry poppy seeds, an analogue for sand or other soft sediment. Next, the researchers used computer simulations to model the movement of every single little poppy seed as the bird strode through. Researchers hope to learn how much it weighed, how it moved and what it used its iconic back plates for. A UK team has scanned each of its 360 bones into a computer and has digitally reconstructed the dinosaur. The specimen, nicknamed "Sophie", has been acquired by the Natural History Museum in London. Although Stegosauruses are one of the most well known dinosaurs, they are among those that scientists know the least about. There are only six partial skeletons of the creature, which lived around 150 million years ago. It could grow to the size of a minibus and the gigantic plates which ran along its back were its most distinctive feature. How did it use its back plates and tail spikes? How effective were its muscles? How did such a small skull manage to chew enough food for such a large body? The Oatmeal. They put it all together in one succinct comic. 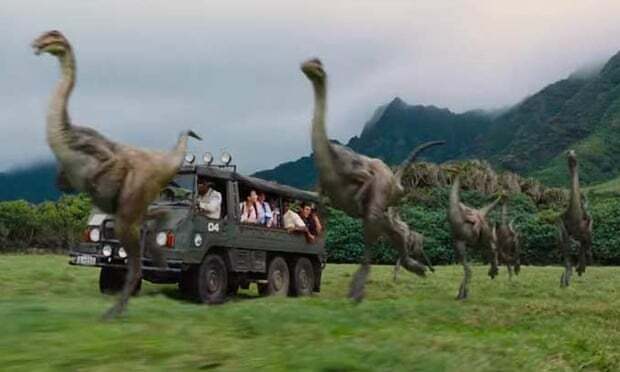 The trailer for the latest big screen outing of the Jurassic Park franchise is causing delight and consternation in equal measure over the appearance of the extinct stars. Here, paleoartist John Conway tackles the ongoing arguments about keeping the dinosaurs up-to-date. 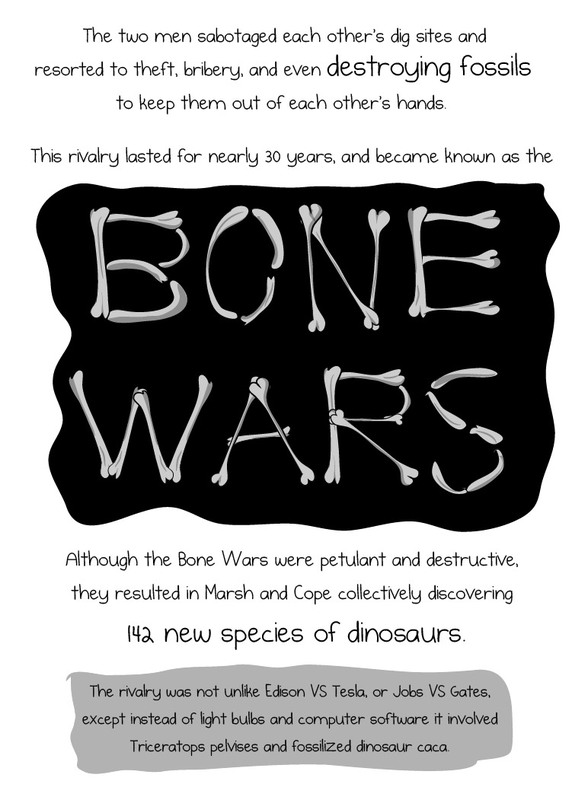 The 1970s and 1980s were a good time to be interested in dinosaurs. A scientific revolution was happening, and the sluggish dumb evolutionary dead-ends of old were being replaced with fast, social and intelligent beasts. At least, that was understood by dinosaur enthusiasts. The general public, on the other hand, was still mostly familiar with the old lumps in swamps. That was until the original Jurassic Park blew them out of the water. Jurassic Park surprised most people with its radical new dinosaurs. In fact, one of the central plot points is just that: dinosaurs are not what we think they are. The filmmakers worked with scientists to get a lot of stuff about dinosaurs right, and the most memorable scenes in the film reflect that. Enormous sauropods move about on land with the grace of giant elephants, Gallimimus running in flocks at terrifying speeds, T. rex as a lithe narrow-hipped running hunter, these things were new to most people, and reflected the new scientific thinking on dinosaurs. Oh sure, it got things wrong in places, and we dino-enthusiasts could rattle off a list of them, but Jurassic Park used science as the basis for its aesthetic power to surprise (and terrify) us. For this reason, it inspired a whole generation: meet a paleontologist of the right age, and there’s a decent chance that Jurassic Park is where they got their start. They were curious as to where this radical new vision of dinosaurs had come from. Since 1993, there has been another revolution in our understanding of dinosaur appearance. The naked, scaly dinosaurs of the Jurassic Park ilk have been replaced by feather, spine, quill and things-we-don’t-even-have-names-for covered beasts that look every bit as strange as the original Jurassic Park dinosaurs did to their original audience. This information has been slow to get into the public perception, as books, many museums, and documentaries have been slow to embrace this new look. A federal court judge in the Eastern District of New York ruled that the skull and vertebrae of the Alioramus dinosaur, a relative of the Tyrannosaurus Rex, must be forfeited by the French fossil dealers who exported the remains. "We are determined to expose and halt the flow of stolen cultural property entering our ports," Loretta Lynch, United States Attorney for the Eastern District of New York, said in a statement. 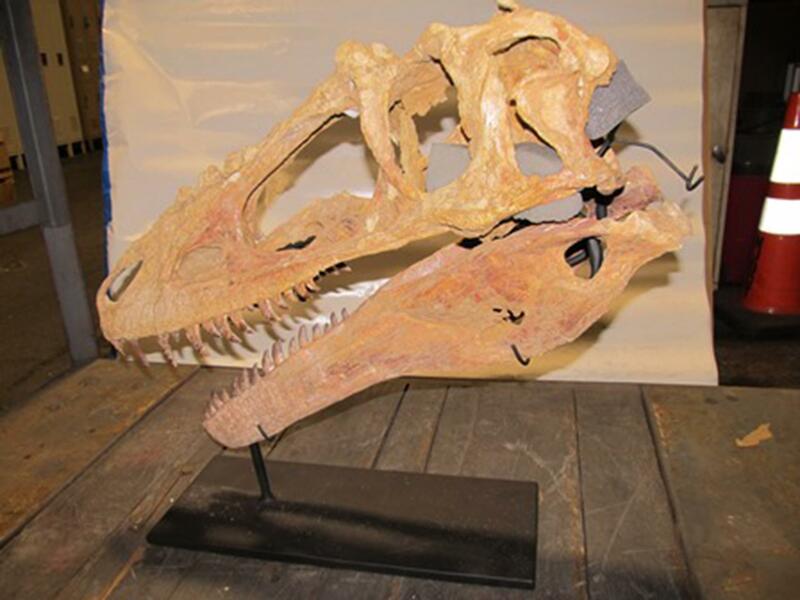 In January, U.S. Customs and Border protection officials seized the dinosaur fossils, sent to New York from France by Geofossiles Inc, which claimed that the skull was a French-made replica, the statement said. In a petition for the items' release, Geofossiles later conceded that the fossils were genuine, originating from Mongolia, and provided forged documents claiming that the remains could legally be exported, the statement said. The company also attached a contract to sell the skull for $250,000. Under Mongolian law, significant fossil discoveries cannot be permanently exported or sold to non-Mongolians, even if privately owned. Geofossiles could not immediately be reached for comment. Now that the skull and vertebrae have been forfeited, the Mongolian government, which assisted with the forfeiture case along with the Central Museum of Mongolian Dinosaurs, can submit a petition for the return of the fossils. A tiny dinosaur about the size of a house cat was recently discovered in South Korea. The dinosaur's fossilized remains span about 11 inches, but scientists told Korea JoongAng Daily that it was likely about 20 inches long when it was alive. The tiny dino is a theropod, a family of carnivorous dinosaurs that includes Tyrannosaurus rex. That means it had sharp teeth and claws--only a whole lot smaller. And if it is indeed a microraptor, it would also have had four wings. The dinosaur lived during the Cretaceous period, which ended some 66 million years ago with the Cretaceous-Tertiary mass extinction event. “The way this dinosaur has been fossilized is unique in that it was discovered with its vertebrae connected to its ribs,” the institute told the Korea Times. The institute also said there may be another fossilized dinosaur in the rock next to this one. Whatever the dinosaur turns out to be, it's the first complete dinosaur skeleton found in South Korea, and among the smallest dinosaur fossils ever found in the country. 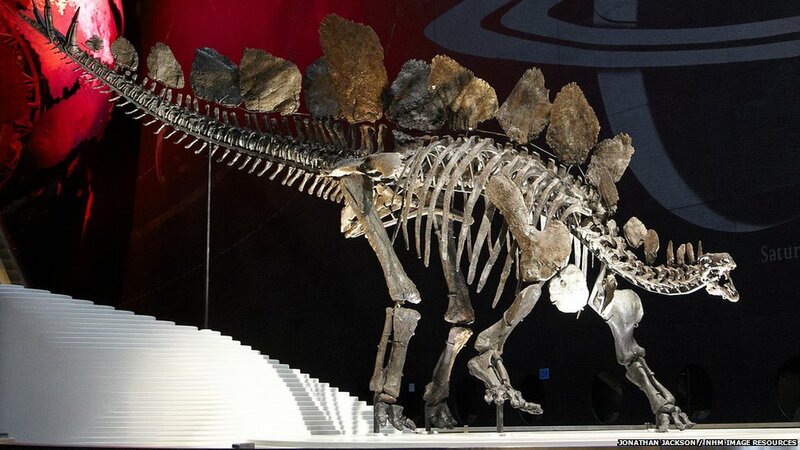 "It is difficult for a small dinosaur to become fossilized and such fossils are very rare across the world," an unnamed researcher from the National Research Institute of Cultural Heritage told Korea.net. "We need to conduct further research into whether the fossil is related to the Minisauripus, whose footprints were discovered in the southern areas of Gyeongsangnam-do."